A few years ago, when I first heard that Robert Redford had started planning to direct a movie version of Bill Bryson’s A Walk in the Woods starring himself and Paul Newman, I was baffled. My first thought, “They’re too old!” My second thought was “Which one is going to play Katz?” a question I’d have asked even if they’d both been the right ages to play the mild-mannered writer Bryson and his eccentric, irascible, and totally unreliable college buddy with whom he set out to hike the entire twenty-one hundred mile length of the Appalachian Trail. Bryson more or less did it. Katz went his own way, even when he and Bryson were hiking together. After our summer in Europe, Katz had gone back to Des Moines and had become, in effect, Iowa’s drug culture. He had partied for years, until there was no one left to party with, then he had partied with himself, alone in small apartments, in T-shirt and boxer shorts, with a bottle and a Baggie of pot and a TV with rabbit ears. I remembered now that the last time I had seen him was five years earlier in a Denny’s restaurant where I was taking my mother for breakfast. He was sitting in a booth with a haggard fellow who looked like his name would be Virgil Starkweather, tucking into pancakes and taking occasional illicit nips from a bottle in a paper bag. It was eight in the morning and Katz looked very happy. He was always happy when he was drunk, and he was always drunk. I figure Newman would have had to play Katz. A character like Katz is way outside Redford’s comfort zone. Well into his old age, Redford has managed to continue to play Redford-esque leading men, although, fortunately, while showing the sense to avoid making those leading men romantic leads. (I’m disappointed to note that his long-planned Jackie Robinson movie isn’t listed as being in pre-production at imdb.com anymore, which I guess means we won’t get to see him as Branch Rickey.) Newman always allowed himself a little more range and even his leading men had more than a little touch of eccentricity. In his late middle-age, he started ranging a little farther and became something of a character actor. I think he’d have gotten a kick out of playing Katz---if he could have done it as a follow-up to Butch Cassidy or Henry Gondorf. Still, Bryson and Katz were approaching fifty when they set out, not past seventy and eighty. Supposing the book had been written twenty-five years before, though, when both Redford and Newman were middle-aged, Newman still wouldn’t have been the best choice for Katz. Among Redford’s contemporaries, Dustin Hoffman would have been off the list because I’m pretty sure that after All the President’s Men Redford wasn’t in the mood to work with Hoffman ever again, but Jack Nicholson, Donald Sutherland, Elliott Gould, Gene Hackman, Al Pacino, and George Segal would have made great Katzes. And those would have been Redford’s best choices if he’d only wanted to go with a leading man in the character actor’s part. If he’d wanted a character actor who could also be a second male lead there was Bruce Dern, Alan Arkin, and Peter Falk. 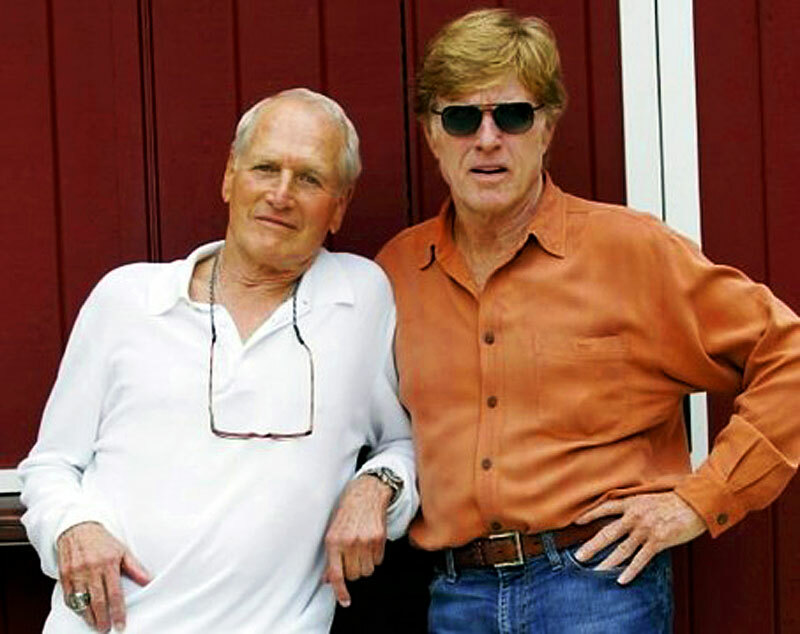 Redford and any one of those guys would have made a more interesting pairing than yet another Redford-Newman bromance. For my money, I think I’d have liked to see Redford and Dern or Redford and Gould best. But you know who else would have been nearly perfect? The fun for me in this pairing would have been in that on screen Nolte often played an eccentric and more temperamental version of Redford. In fact, to a great degree, his career in the eighties and into the nineties was the career Redford could have had if he hadn’t pretty much given up acting during the decade after Brubaker and The Electric Horseman. Nolte began as the guy you went to when you wanted a Robert Redford type but had no hope of getting Redford himself and eventually became the guy you got because Redford wouldn’t have been up to the part. Nolte started off with a string of movies that easily could have starred Redford instead. The Deep. Who’ll Stop the Rain. Heart Beat. (Not hard to imagine Redford as Neal Cassidy if you’ve seen Little Fauss and Big Halsey.) North Dallas Forty. Teachers. Under Fire. Teachers. That changed with the movie that makes it easy to imagine Nolte as Katz, Down and Out in Beverly Hills. But even after that, Nolte took on roles that Redford would have been just as right for, in Cape Fear, The Prince of Tides, Jefferson in Paris, The Golden Bowl, and The Good Thief. I think Redford could have handled Affliction although he probably wouldn’t have risked it, just as he decided not to risk The Verdict. So it could have been fun watching Redford playing opposite his not quite evil but definitely wilder and less well-behaved twin. Of course, it’s not often that kind of perfectly compatible material crosses any actor’s inbox. 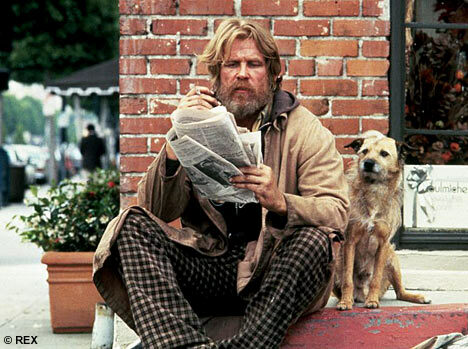 But this could be one of those moments … if there is any truth to the tentative report in today’s LA Times that Redford and Nick Nolte are poised play the lead roles in an adaptation of Bill Bryson’s A Walk in the Woods. Redford would play Bryson and Nolte would costar as his college buddy, Stephen Katz, who accompanies the expat author on an epic hike along the Appalachian Trail. The point of turning Bryson and Katz into a pair of grumpy old men was so that they could be played by Redford and Newman. The movie was being made to give the two one last chance to work together again and it didn’t matter who played Katz since both would really have been playing themselves. The controlling joke of the movie would have been that they were too old to be doing this, they being the characters and the actors. “Bryson” and “Katz” would have been too old to make the hike and Redford and Newman would have been too old to play men making the hike. The movie would have been Redford and Newman’s acknowledgement that they were long past being the handsome and dashing leading men we last saw them together as. Hopefully, this would have been done without too many old geezer jokes. But once illness forced Newman to drop out, there was no longer a good reason to make “Bryson” and “Katz” a pair of grumpy old men. The point was the reuniting of Butch and Sundance, not in watching a couple of old coots having a good time making fools of themselves. Anybody who wants to see that can watch The Bucket List. Besides, Redford has already done his farewell to being a leading man in Spy Game and his I’m getting too old for this turn in the little known but well worth seeking out An Unfinished Life, in which he co-stars with the great old geezer Morgan Freeman. So we’ve seen him do the dueling old coots act . I’d hoped when Newman dropped out that if Redford still wanted to continue with the project he’d reconceive it as being about the real Bryson and Katz as portrayed in the book and cast leads who were the right ages or close to them. I even knew who should play Bryson. Every movie Redford has directed (except for, possibly, his most recent, The Conspirator, which I haven’t seen yet.) has featured a Robert Redford part that in his better efforts isn’t played by Robert Redford, starting with a two-fer with Donald Sutherland and Scott Doebler as Timothy Hutton’s father and brother in Ordinary People. In The Milagro Beanfield War Christopher Walken plays a parody of Redford’s character in Tell Them Willie Boy Is Here. Ralph Fiennes is very much a young Redford as flawed golden boy in Quiz Show. Matt Damon takes on the role in The Legend of Bagger Vance. But the quintessential Redford role that is most perfectly cast and played is Paul McLean in A River Runs Through It. Which is why Brad Pitt would be me choice for Bryson. Redford can have his pick of Katzes. If he wanted to go the Redford-Newman route, George Clooney might work as Katz. Clooney hasn’t done it often enough, but he clearly enjoys stepping out of his comfort zone and poking fun at his leading man image. But I think another, better way to go would be to take the Redford-Nolte route and cast a Redford against another Redford. If you can’t see Matt Damon in the Nick Nolte role, I recommend you watch or re-watch The Informant! Damon is another leading man with an inner goofball he’s itching to let loose. How about a Black Katz? He always seemed like a Jack Black kind of "character" when I was reading the book. The problem with my imaginary movie is I'd choose Ed Harris for Bryson, and I suppose the age difference is too great. And I just will not tolerate Jack Nicholson in another eccentric role, so don't even think about him for Katz, Hollywood. How about Redford reuniting with Timothy Hutton? It's about time that he was a movie star again. In a just world, some network would give Bryson a camera crew and an unlimited budget and tell him "Go find out something interesting." Jim, Hutton could play either Bryson or Katz these days. In fact, if this was an episode of Leverage, he might play both. VG, Black would work. Once you've established that neither character is the real Bryson or Katz, you don't have to stick with the fact that they were old college friends. The Katz character could even be the Bryson character's son. Like I said, there's no reason for the characters to be old coots except that Redford appears set on casting himself as Bryson, which I think is a mistake. He should just direct it. But speaking of making one of the characters black, as opposed to Black, another good pairing would be a re-teaming of Will Smith and Matt Damon, with Damon still as Katz. Bob, are you reading this? Lance, the problem with that is that "Bryson" has to be likable, keenly observant, and self-effacing, even when he's not. Smith is none of these. Jack Black might be good. but never mind Katz--who gets to play the obnoxious hiker (I can't remember her name) they meet and desperately try to shake to no avail, for quite some time? Kristen Wiig. Obnoxious is right in her wheelhouse. Hateful and unfunny are, too, but that's another matter. The Bryson character could go a number of different ways, which is the nature of narrator-driven book-to-film characters. It needs to be someone with a palpable sense of humor, but who is gifted at both the slow burn and the volcanic explosion. Since Bea Arthur is unavailable, I nominate Tom Hanks.